Thanks for your comment, Emygal. 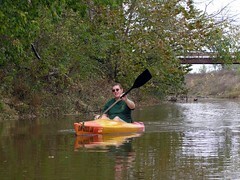 Kayaking on Deep Fork is pretty easy, if you own you own kayaking. Sadly, there are no rental kayaks available for this river as far as I know. Getting started kayaking is as easy as grabbing a recreational kayak and getting out there. We bought our kayaks at Academy Sports and Bass Pro Shop. You can also look at many models and price them online in our Kayak Store. Ten foot kayaks fit in our vehicle well and have served us effectively on all of our kayaking adventures so far. However, you probably won't hear from us soon, as you didn't leave us with any contact info in the comment. 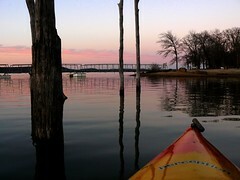 If you have any specific questions just email us or leave another comment on our Oklahoma Kayaking Blog. Good luck and happy paddling!